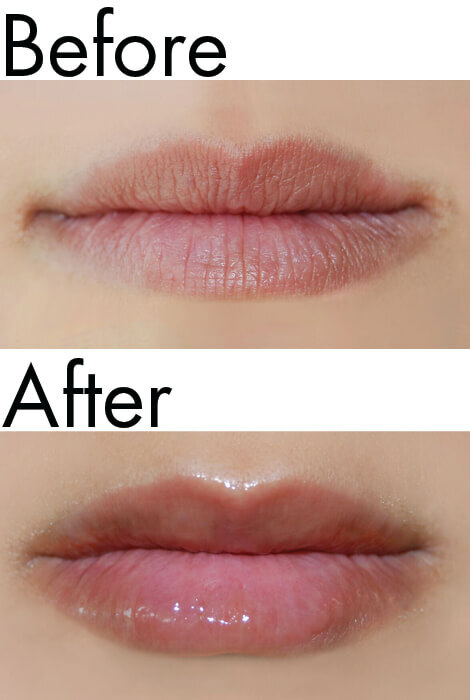 A fuller, smoother, sexier pout can rewind years off your look and boost your self-confidence. 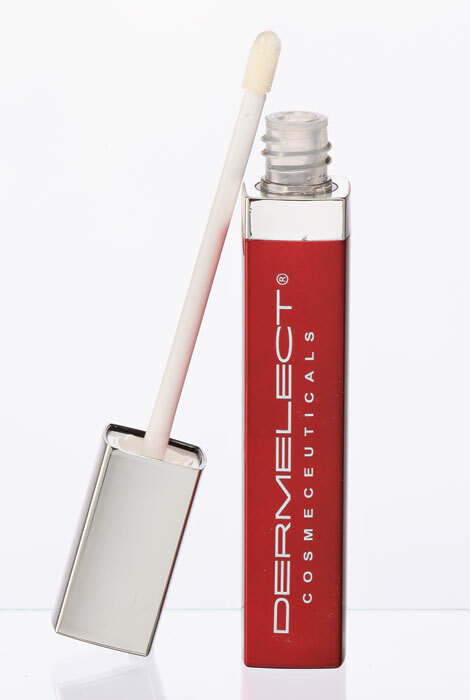 Instantly plump your lips and reduce visible signs of aging with this powerful on-the-lip treatment. Anti-aging volumizing and conditioning technologies target telltale feathering lip lines, frown lines and shadowy discoloration. A rich blend of peptides, moisturizers and brighteners combine to fight discoloration, wrinkles and collagen loss, restoring a younger-looking lip area. 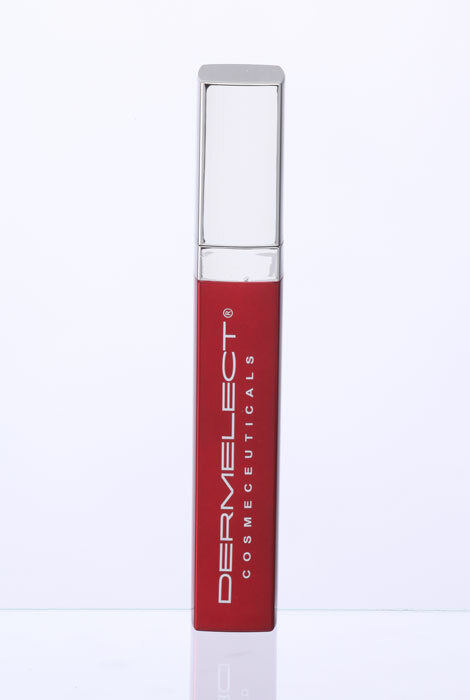 Progeline tripeptide, Silkflo lip conditioner and moisture-binding hyaluronic acid provide a lip plumping, volumizing effect. Potent anti-oxidants (vitamins A, C and E) combined with hydrating agents argan oil, shea butter and pomegranate extract lock in moisture and rehydrate lips. For best results, apply generously to clean lips in the morning and at night. MINERAL OIL, POLYBUTENE, PENTAERYTHRITYL TETRAISOSTEARATE, C18-38 ALKYL HYDROXYSTEAROYL STEARATE, HYDROGENATED POLYDECENE, HYDROGENATED STYRENE/ISOPRENE COPOLYMER, DIISOSTEARYL MALATE, POLYGLYCERYL-2 TRIISOSTEARATE, SILICA DIMETHYL SILYLATE, SODIUM HYALURONATE, TRIFLUOROACETYL TRIPEPTIDE-2, TOCOPHERYL ACETATE, RETINYL PALMITATE, ASCORBYL PALMITATE, ALOE BARBADENSIS LEAF EXTRACT, BHA, ARGANIA (ARGAN) SPINOSA KERNEL OIL, PUNICA GRANATUM (POMEGRANATE) EXTRACT, VANILLYL BUTYL ETHER. MAY CONTAIN: MICA, TITANIUM DIOXIDE C.I.77891, IRON OXIDE RED C.I.7749, IRON OXIDE YELLOW C.I.77492, D&C RED NO.6 C.I.15850, D&C RED NO.7 CA LAKE C.I.15850. This feels great when you apply it - and it gives a real nice protective layer if you happen to be outdoors in the cold or wind. Very hopeful it will remove above lip iines. Hoping it will help with the fine lines above my top lip! At 66 my lips are thinning. Will see if this works. I have tried other dermelect products and liked them so decided to give this one a try. I use this daily. Plumps my lips under my lipstick. Love it! My lips need some help. I have used it previously and find it to be really effective. Tried to pick the cosmetic most likely to work. We will see. No reviews. This costs the most and As We Change is good about returning products for credit that don't work. I love this lipsealer. Its works! can you apply lipstick after using this product? BEST ANSWER: Thank you for your question. Lip stick can be applied after. We do suggest to wait a few minutes to apply the lip stick so the volumizer has time to set in. We hope this information will be of help to you.